Hallows Eve began with a plan to create metal music that is diversified. The original plan began in the summer of 1983 when Tommy Stewart began writing for a new band that didn't exist yet, except in concept and name in Tommy's mind. The idea became real on October 31st, 1983, when Tommy and then lead vocalist (Warrior), Stacy Andersen, said they should give guitarist Skullator a call to form Hallows Eve. The three decided to form a band that would never stop, utilize various forms of music within a metal framework, and ultimately write for themselves regardless of the thoughts from the outside world. Tommy is remembered as remarking, "I will never quit." 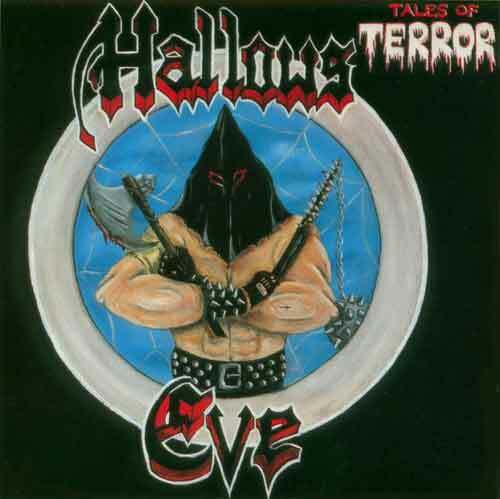 Hallows Eve was quickly signed to then fledgling Metal Blade Records and made three albums. Tales of Terror, Death and Insanity, and Monument. All three albums had a loose concept or theme. Tales of Terror told little stories or described scenes of terror. Death and Insanity was more like an essay with each song touching on different aspects of death. An entire album of songs about death had never been done at the time and much to everyone;s surprise the next album, Monument, didn't mention the word. It was,instead, about the abstract concept of anxiety. A style began to develope, for instance the lyrical story-telling, the obvious punk influence, and a hint of what would be known as death metal. Although there have been many member changes and the "lost years" after the Metal Blade era, Hallows Eve is charging forward again with Evil Never Dies. Skullator, called Skully by friends, is back on guitar and some death vocals. Asked once to define metal, without hesitation Skully smiled and said,"That's me." Dane Jenson is now the longest running drummer, some say the best, and introduced onstage as "our favorite". Guitarist Brandon Ottinger is the youngest in the group, but his unique style is surely an asset as can be heard on E.N.D. Tommy Stewart is still ever-present on bass and has been the group's lead vocalist for several years now. As a matter of fact, the present line-up is the longest running line-up in the band's twenty-three year history. The new album, Evil Never Dies, was originally a self-release but has been released worldwide by death label Extreem Music. E.N.D. is another thematic album with an emphasis on a death metal sound which Hallows Eve had not previously explored. Contents include various aspects of evil as a theme with each song offering a unique take. The album tells stories or describes "snapshots" as the band likes to say. One story is that of Vampires Drink Deep which tells of a bad deal gone bad, or the hallucinagenic Black Queen which is about a visit to the dentist. Then there is Looking Glass which is loosely based on "The Outsider" (Lovecraft). Monkey's Paw is based on an american short story, but Tommy uses it as a metaphor for being in a band. There are puzzles, for instance, the first word of each line in Monkey's Paw tells a message. Lately, Hallows Eve is celebrating the release of it's box set. 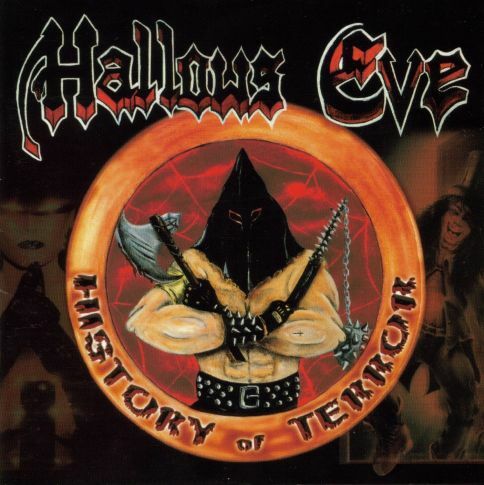 History of Terror and the simultaneous release of Evil Never Dies. For the future, Hallows Eve plans to create music that is diversified, exploring different forms of metal while writing for itself regardless of the trends or fictional rules. Hallows Eve is relentless and persistent. And Tommy Stewart will never quit.